Grind, gut, grit; three words that can be attributed to any Bulls win this year, and yesterday's was no different. As everyone panicked about the Bulls' awful game one loss against the Brooklyn Nets on Saturday, the team and coach Tom Thibodeau refocused and readjusted themselves to notch a 90-82 victory last night. Micheal-Jordan-"flu game" praise has been given to Joakim Noah (11 points, 10 rebounds in 25 laborious minutes) for his inspired performance, and the Bulls don't win that contest without his fourth quarter and the team's late defensive stands. On offense the Bulls played like a team that was going to win with defense. They shot 52 percent on two pointers (34-for-65), which was only four percentage points worse than what they did at the charity stripe (56 percent, 13-for-23). They shot 25 percent from deep (3-for-12), yikes. It's a good thing the Nets shot 19 percent (4-for-21) from long range, and 35 percent overall. Every shot is a tough shot for the Bulls in this series. Offensively it wasn't pretty, but when this season appeared to be on its "last call," you'll take what you can get. Noah didn't let his foot or the Nets beat him or his team. In the fourth quarter, when the Bulls appeared to be blowing a 14-point lead, he stepped up and made great plays. With seven minutes left, Noah scored seven points and grabbed six rebounds, not to mention saving a ball headed out of bounds to set up a Nate Robinson three pointer. There's nothing more to say about this memorable game from Noah that hasn't already been said. If he stays on a minutes limit, maybe 12 of them should be saved for the fourth quarter. Carlos Boozer is the only one in these two games making the stats sheet worth sifting through for the Bulls. In two games, Boozer has 38 points and 20 rebounds; however, he only got to the line three times. Moving forward, the Bulls would be well served with Boozer driving a bit more and making contact with the defender. If his jumper goes cold, the Bulls can be in a world of trouble. Luol Deng had a stellar night on both sides of the ball. He had a double-double (15 points, 10 rebounds) and created three turnovers, while shutting down game-one great Gerald Wallace. Jimmy Butler was quiet on the offensive side again, with the exception of a timeout-inducing dunk. Butler is tasked with guarding shoot-to-kill shooting guard Joe Johnson. While Johnson has got his, he hasn't taken over a game. Hopefully Butler gets back to the offensive player we saw in March and April, but just as long as he plays D, the Bulls will play him 35 plus a night. Kudos to Thibodeau and the rotation changes he made. He didn't play Rip Hamilton this game, instead went with a dual point guard line up at times with Kirk Hinrich and Robinson. In game one Nazr Mohammed only played six minutes, but this time around he logged 17 and hit some big jumpers, for eight points in all. Marco Belinelli played a scant 11 minutes, but in that time, he helped the team create some offense (eight points, two assists). His lack of defense would have been too costly to leave him in this game any longer. Thibodeau is feeling out the series game by game, and that's a good plan for a team that doesn't get any easy buckets. And now for a little Brooklyn role call. The Bulls forced the Nets out of the paint in game two. Game one points in the paint for the Nets: 56, in game two: 30. Hinrich did a great job of letting Deron Williams limit himself, when Williams couldn't buy a bucket (1-for-9) with the hobbled and nowhere-near-as-good Hinrich guarding him. Joe Johnson had more shot attempts than points (17 points on 18 attempts), and did so at 33 percent rate. Wallace, who in game one of the series had the game's second highest plus/minus stat of plus-22, regressed back to the Wallace of old, scoring only two points while grabbing three rebounds and notching zero assists. Brook Lopez and his 19-foot jumper with no vertical leap was the only Nets player the Bulls had to guard. While many argue that Williams is the team's best player, Lopez will be the one giving the Bulls the most trouble from here on out. Should the Bulls feel really good about their chances the rest of the series? Yes, but they probably shouldn't. Noah is the Bulls' best chance to win this series. To most, watching him visibly playing through pain while Derrick Rose humbly sits on the bench, waiting until he's "100 percent ready," can be upsetting, but to those focused on this series only, it's a non-factor. In these 2013 Eastern Conference Playoffs, Rose will be ready when he's ready (circa 2013-14 regular season), and Noah will be ready even when he isn't. The Bulls don't seem to have a legitimate shot at the title, but all they need to do is gut out games, one game at a time. What the Bulls can get out of Noah in any given game is as far as they can go. Game three will be another joy to watch. One can only hope the Bulls got their bad game out of the way. The home crowd will be like the previous streak-busting Thursday attendees, energetic and vocal. The pressure is more on the Nets to respond rather than the Bulls to win. Let's hope Noah is wheel-chaired everywhere for the next two full days the team has off, because with a 1pm game on Saturday, his plantar fasciitis won't be looking forward to a quick brunch tipoff. 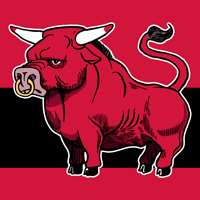 You’re right on about the Guts and Grit aspects helping the bulls win; it was Noah's presence and the Bull's defensive fortitude that won out this time, but I don't think the Bulls have enough depth or health to sustain through the rest of the series. It was inspiring watching Noah play through all the pain, but the guy needs some serious rest time for sure. My shift at DISH ended right around halftime, and I saw the second half on my iPad on my bus ride home. My DISH Anywhere app lets me take all my TV channels and DVR wherever I go, and it's a lot cooler watching live NBA action than just staring out the window!